Bombardier’s Challenger 300 dominates the super midsize jet category with impressive range and exceptional fuel efficiency. Its big and roomy cabin offers passengers more than enough space to work or relax, and its outrageous performance will have you arriving at your destination in no time. Seating up to nine passengers, the Challenger 300’s cabin has a double club configuration that can be replaced with a 3-person divan. All seats are fully adjustable with fold out tables and individual power plugs, convenient for working or dining. 12 windows provide plenty of natural light to the cabin and help passengers feel more relaxed and refreshed. 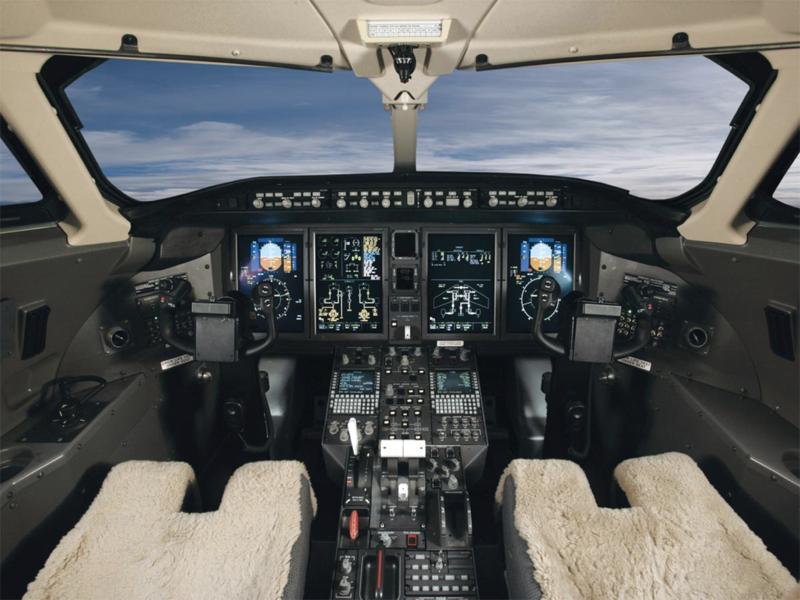 In addition, low-heat LED overhead lights with a 10,000-hour life and two zone air conditioning all come standard in the Challenger 300 keeping both passengers and crew comfortable at all times. For your baggage, the Challenger 300 offers 106 cubic feet of space in an exterior compartment that can be accessed in flight through the enclosed lavatory. Two Honeywell engines power the Challenger 300, making it capable of climbing to an altitude of 37,000 feet in just 14 minutes. With a range of 3,560 miles at .80 Mach, the Challenger 300 offers powerful performance for a jet of its class. As a leader in fuel efficiency, this jet can burn as little as 178 gallons of fuel per house when flying at a high-speed cruise of .82 Mach. 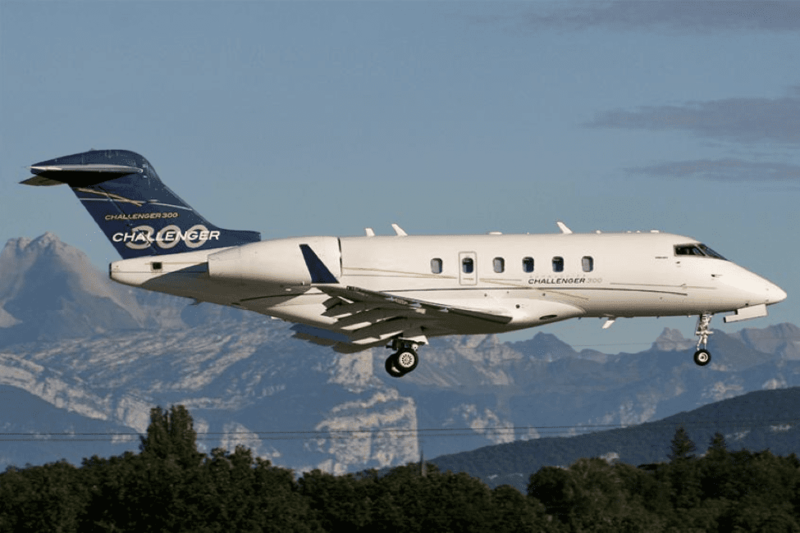 The Challenger 300 is capable of departing from shorter airfields than most super midsize aircraft and it can comfortably cruise at an altitude of 45,000 feet to avoid most bad weather conditions and other air traffic. The Challenger 300 can complete cross country flights with speed and efficiency and is guaranteed to offer seamless travel on every flight. 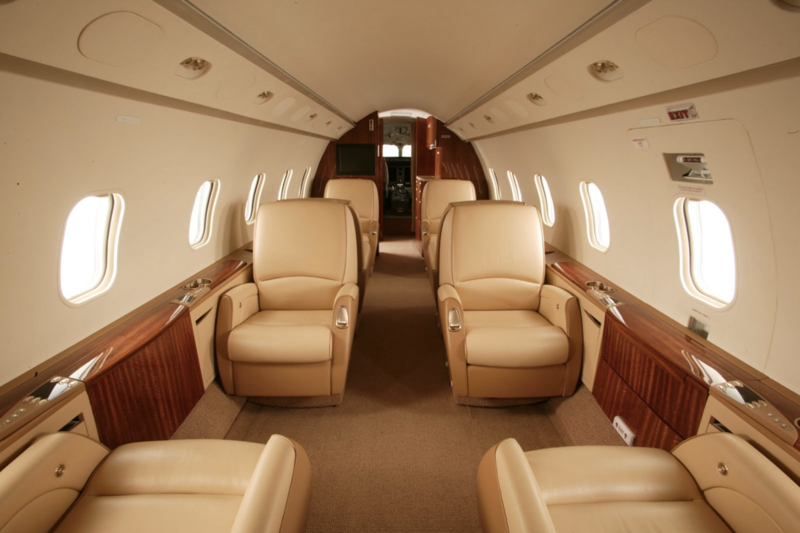 Click below to learn more about the Challenger 300 and other Magellan Jets membership aircraft.